Start your Online Austin Mutual Windshield Replacement Today! 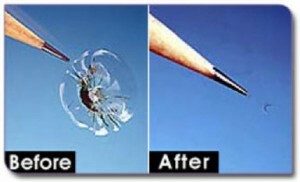 Glas Tek is an approved Austin Mutual windshield replacement and auto glass repair shop. Glas Tek honors Austin Mutuals contract pricing so that their will never be any additional out-of-pocket costs for you or your insurance company. Austin Mutual windshield replacement and auto glass repairs are approved, fast, easy, and guaranteed with Glas Tek. Plus, get up to $150 FAST CASH with all Austin Mutual windshield replacements. Austin Mutual Insurance customers in need of a windshield replacement or vehicle glass repair are in good hands. That’s because Glas Tek serves as an approved third party windshield replacement and auto glass repair source for Austin Mutual Insurance. Austin Mutual Insurance supports the Glas Tek craftsmanship with a lifetime warranty that covers their work nationally. This means the service that you receive from Glas Tek features a double lifetime warranty, as Glas Tek also has its own national lifetime warranty in place. Austin Mutual Insurance made the wise decision to outsource their windshield replacement and auto glass repair claims through a trusted third-party entity. Furthermore, Glas Tek serves as an approved entity to perform the actual auto glass replacement or repair work. This partnership benefits policy holders in a multitude of ways. In addition to backing the repair work performed by Glas Tek, we adhere to Austin Mutual Insurance’s contract pricing guidelines. Adhering to contract pricing means that customers never have to dig deep to cover out of pocket costs. Another way that Austin Mutual, Glas Tek, look out for their customers is via their online claim filing procedure. Austin Mutual Insurance requires that their customers file all Austin Mutual windshield replacement and auto glass repair claims directly over the phone. Therefore, Glas Tek connects the customer directly to Austin Mutual as a convenient courtesy for policy holders. No worries though, Glas Tek will be sure to answer any questions or concerns that you may have before the claim process begins. We want to be sure that you understand and are comfortable during the claim process. 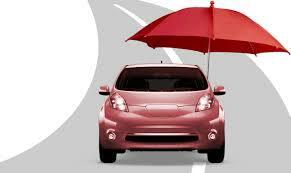 We know that insurance claim processing can sometimes be very intimidating. Rest assured though, the process is fast, easy and painless and will only take about 15 minutes of your time in most cases. Austin Mutual offers an efficient claims filing process. The Austin Mutual representative asks a series of questions regarding the claim over a conference call. Once the claim is filed, Austin Mutual will verify coverage and approve Glas Tek to perform the work. Once approved, Glas Tek receives notification to began replacement or repairs. Austin Mutual waives comprehensive deductible for windshield repairs. This means that if you carry a $500 deductible on your policy and do not carry glass coverage, Austin Mutual will still pay for the windshield repair in full. Windshield chip repairs are NOT a cosmetic fix and will NOT make the break fully disappear. They are simply a structural fix that will keep the break from spreading any further. Windshield repairs can clear up to 80% but the outcome all depends on many factors such as the location, size, type, and size of break on the windshield. Breaks that have been there for a long period of time tend to not clear up as well due to debris and dirt in the break. If you decide to have a windshield repair completed on your vehicle and carry full glass coverage and are unhappy with the repair, Austin Mutual will approve a full windshield replacement. Therefore, there is no risking in trying, right? Windshield repairs take only about 20 minutes to complete and keep the factory seal intact. Visit our windshield repair FAQ’s or windshield chip repair process page to learn more information about repairs. -Has a claim number been issued? -Is this the first report about this particular claim? Keep in mind that getting in touch with an insurance agent does not constitute filing a claim. -Has any work already been done on the car? -What is the correct way to spell your name? -What is your phone number, including your area code? -Do you have more than one phone number where we can reach you? -What is your Austin Mutual Insurance policy number? -When did the accident that damaged your windshield occur. If unsure of when the damage happened, when was it discovered? Make an educated guess if unsure. -What is the zip code listed on the policy? -Do you know the source of the damage…for example, was it another car, a baseball or a rock or a storm? A comprehensive deductible might come into play here, meaning that might need to be paid if other vehicular damage occurred before anything can be done about the windshield. -Was other glass on the car damaged? -What is the description of the car in question, including the brand, model, and year? -What address is on the policy? -What is the circumference/description of the damage on the windshield? This question factors into whether a policyholder receives a replacement or a repair. Glas Tek must then provide a warranty in writing. Next, Austin Mutual Insurance reviews the policy and determine if there’s a deductible due. Then the representative confirms the Glas Tek shop location, and also explains that Austin Mutual Insurance supports Glas Tek as a preferred repair service. Austin Mutual then generates an authorization and referral number to Glas Tek. Glas Tek then arranges a convenient mobile appointment to your home or business. It’s simple, thanks to the great customer care provided by Austin Mutual Insurance.